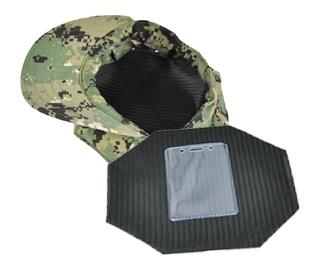 This firm mesh insert will keep your 8 point cap looking crisp and freshly ironed while being stored. Shaper can also be left in while hat is being worn. The vinyl card holder included will hold your military ID.